Thank you for purchasing one of our box inserts. In these instructions we are going to cover how to assemble a standard miniatures tray, whether felt lined, or not. In the kit you purchased each tray should be packaged together so all of the relevant pieces are together and at your fingertips. Pictures within this guide are from a felt lined kit, if you did not select this upgrade, just skip over the felt section, the rest of the assembly is the same. Piece of card, or something to protect your work surface. You will get glue on it! 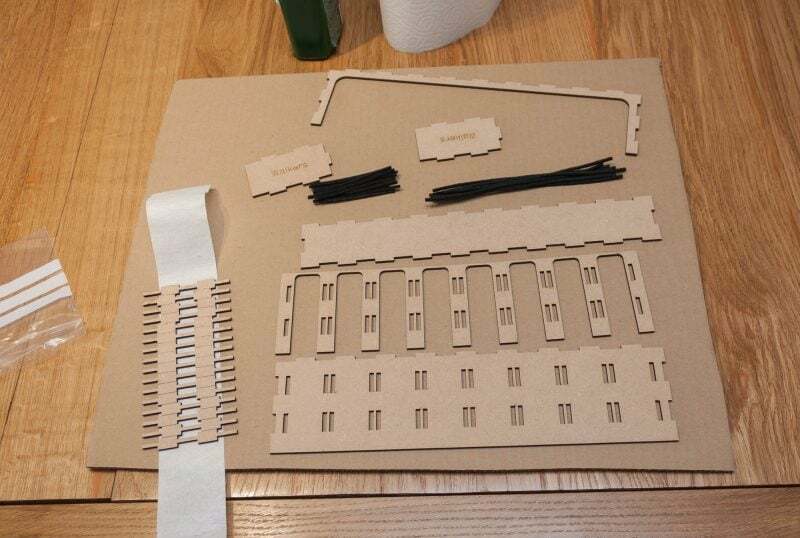 The kit you are trying to assemble! 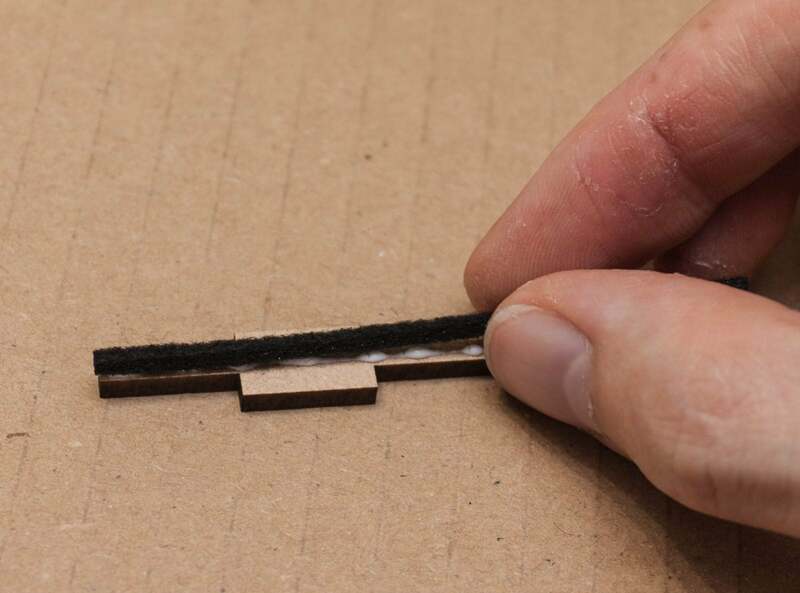 If you didn’t purchase the felt lining upgrade, you can skip this section and move on to the main assembly section. 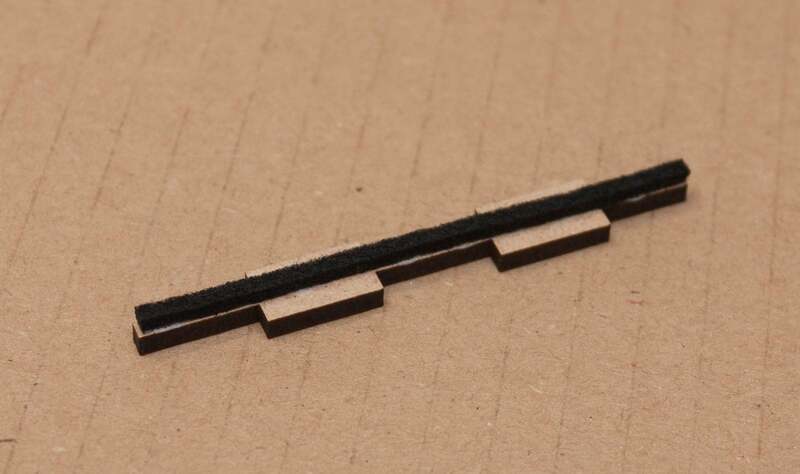 Locate a felt strip of the correct length for the rail. 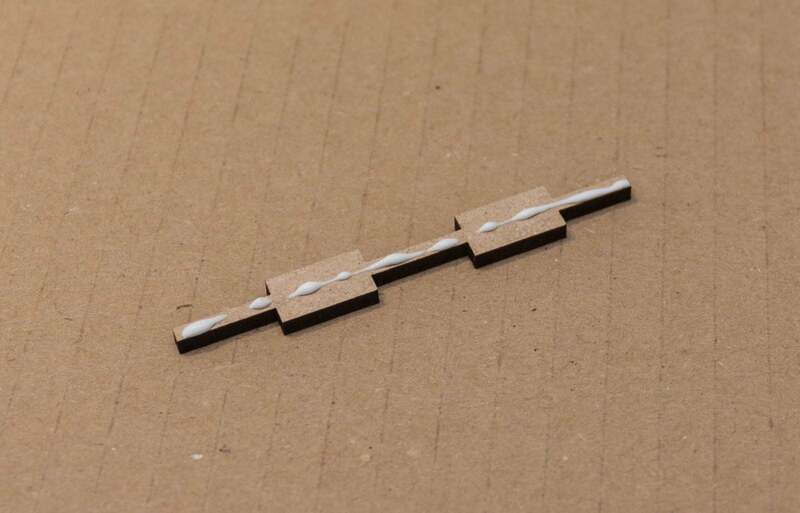 Place a thin line of glue along the centre of each rail. 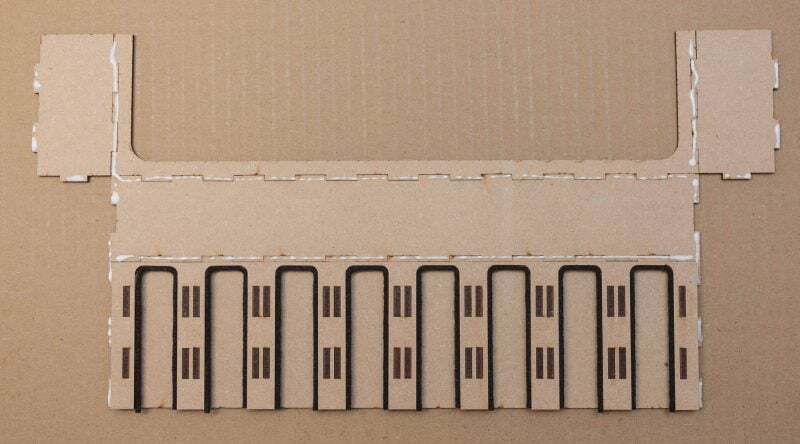 The strip has two distinct edges, one which has been laser cut, and may appear shinier than the original felt surface, and the other more regular felt face. 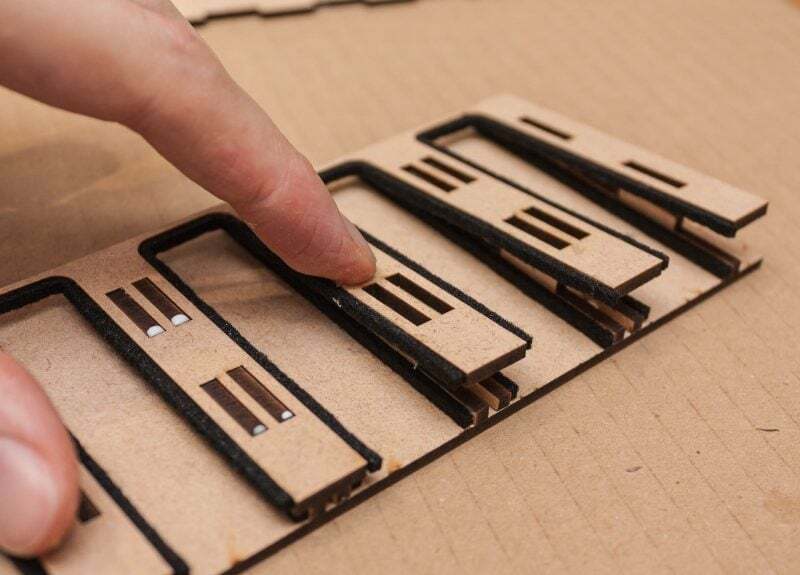 Lay the felt strip on to the rail, with the regular faces down into the glue, and up towards you. Give the felt a gentle push down into the glue. Repeat for the rest of the rails. 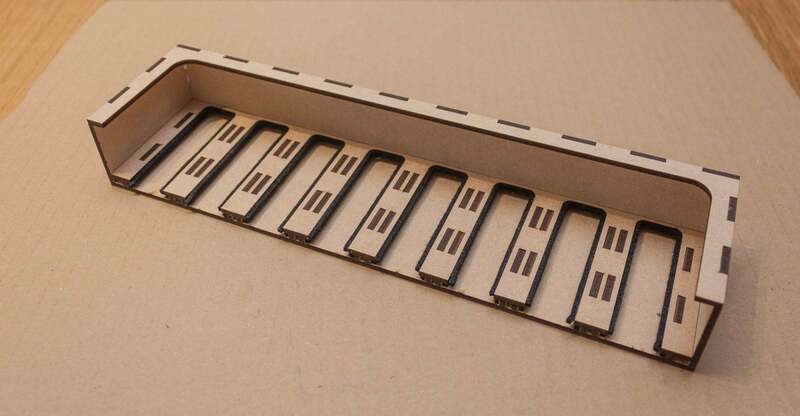 Some kits may not have rails on the left or right extremes, in these cases, the felt strip should be installed on the end piece of the tray, just above the tabs. 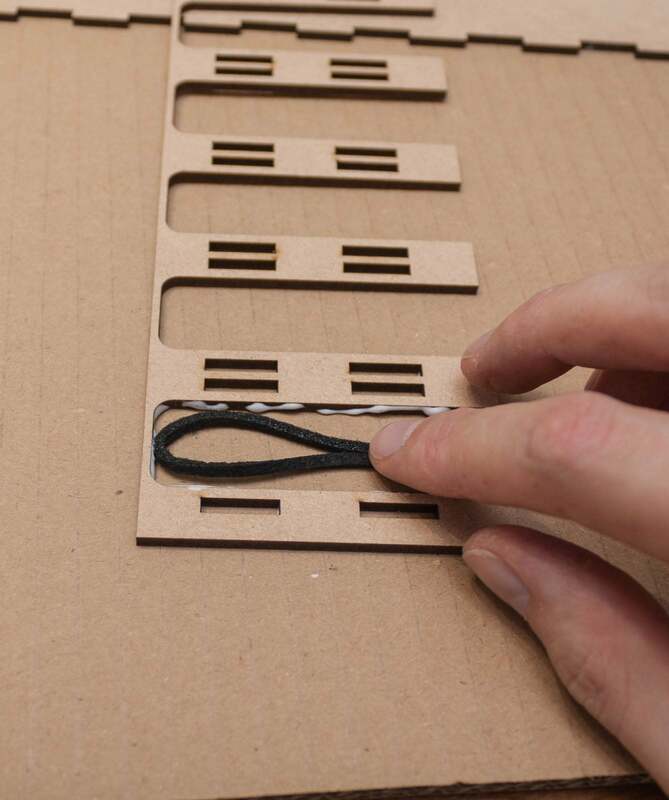 Locate a felt strip of the correct length to line along within the slot. Run a thin line of glue all the way around the slot. Fold the felt strip in half and slide in to the slot. Gently push the strip into the corners of the slot, and then along the length of the slot. Repeat for the rest of the slots. 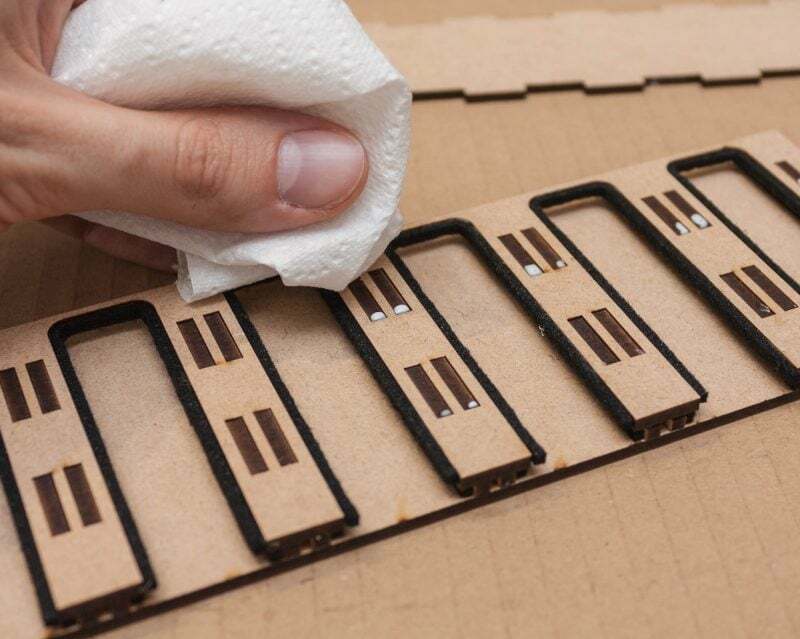 Parts of your kits are likely to have marks on one side from the cutting process that they have gone through. It is recommended that this side is inside the trays such that it is less visible. 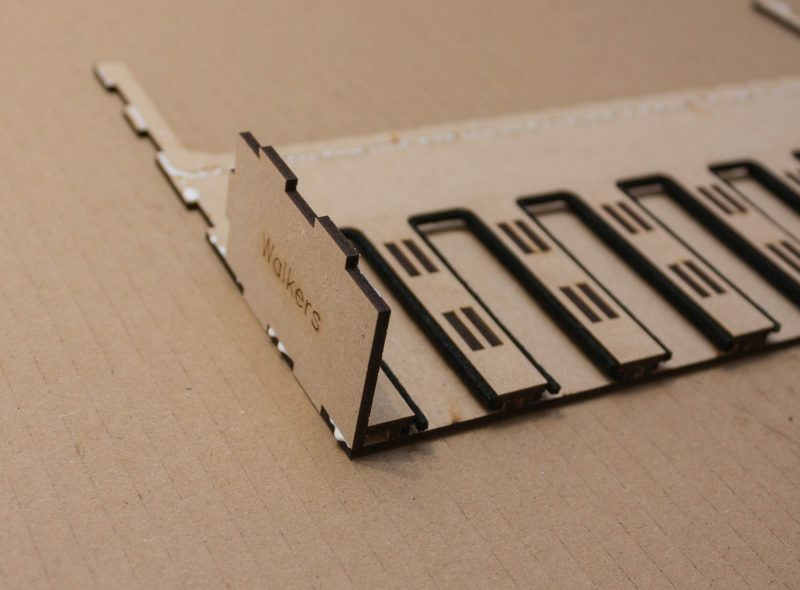 Take the base piece, and apply glue along where the rails will slot, as shown in the picture below. 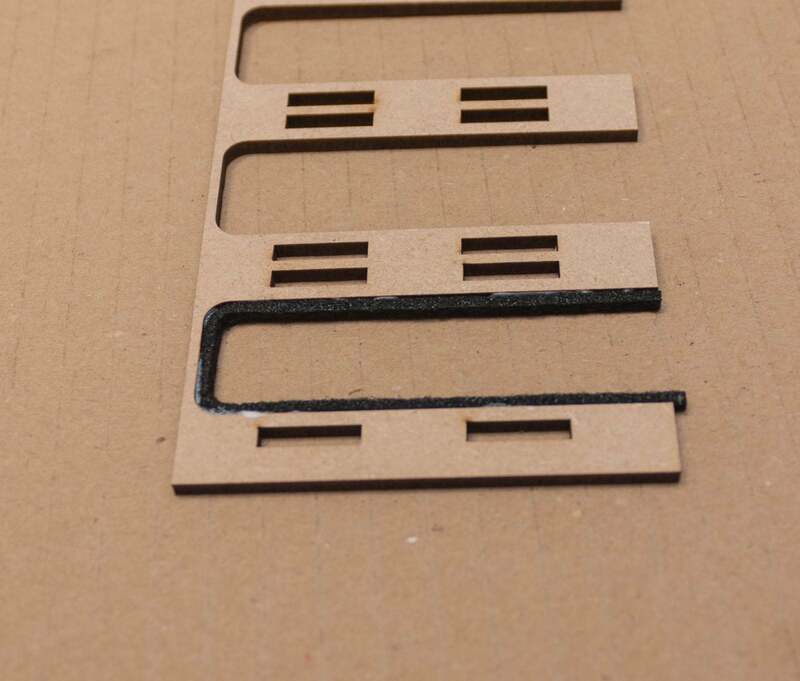 Insert the rails into the holes in the base, ensuring that they are the correct way round, the rail should be flush with the straight front edge of the base, and the felt lining inside the slot. 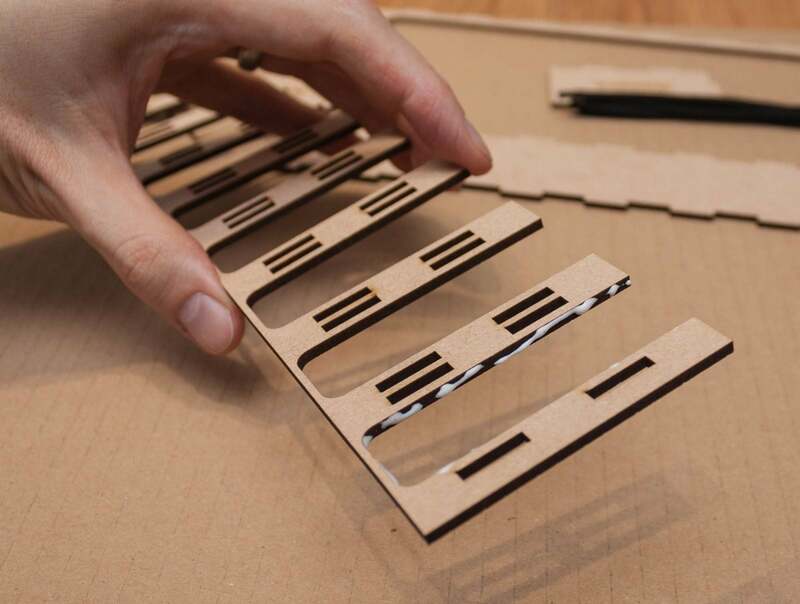 Apply glue to the slots piece. Place the slots piece on top of the base, and work it down onto the tabs on the rails. This should not require too much force downwards, but may require a little side to side wiggling to line the rails up with the holes. 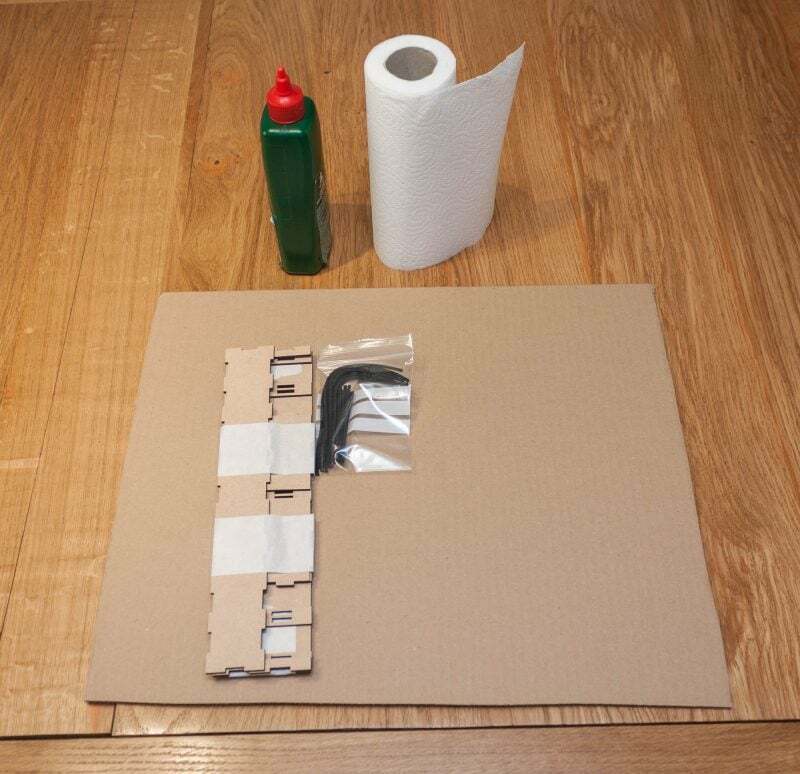 If necessary clean up any excess glue with paper towel. 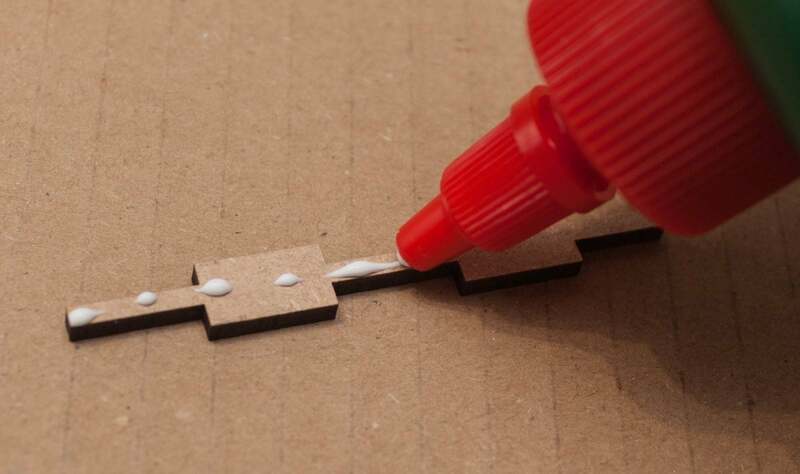 Lay all the pieces out similar to the below image, and then run a thin bead of glue along joins as shown. First push the end pieces in to place, ensuring that the engraving if applicable is the correct way up. Next fold up the rear of the tray, and then the top U-shaped piece. 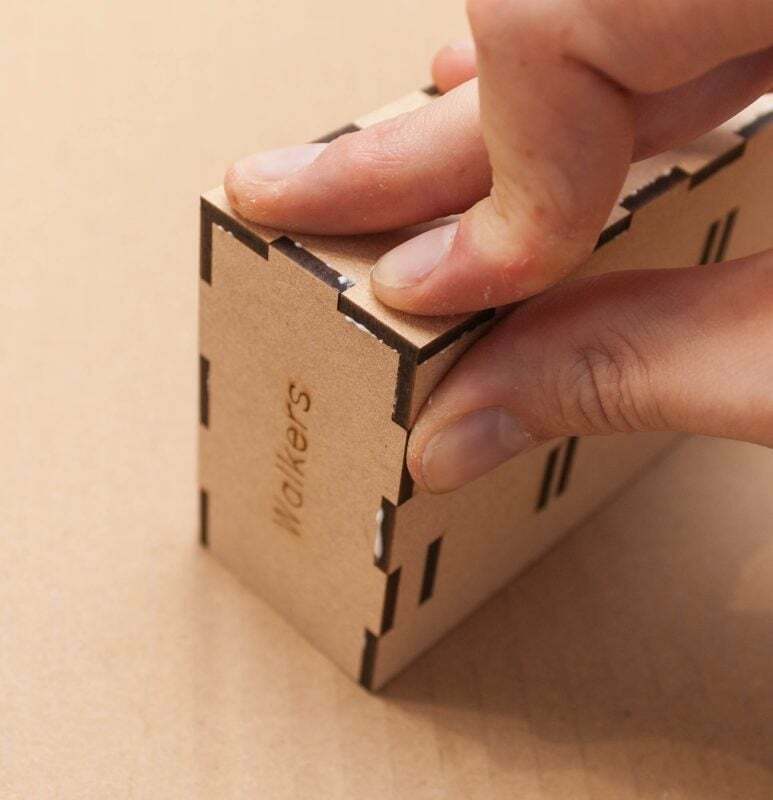 Squeeze all of the joints firmly together and wipe up any glue that escapes.